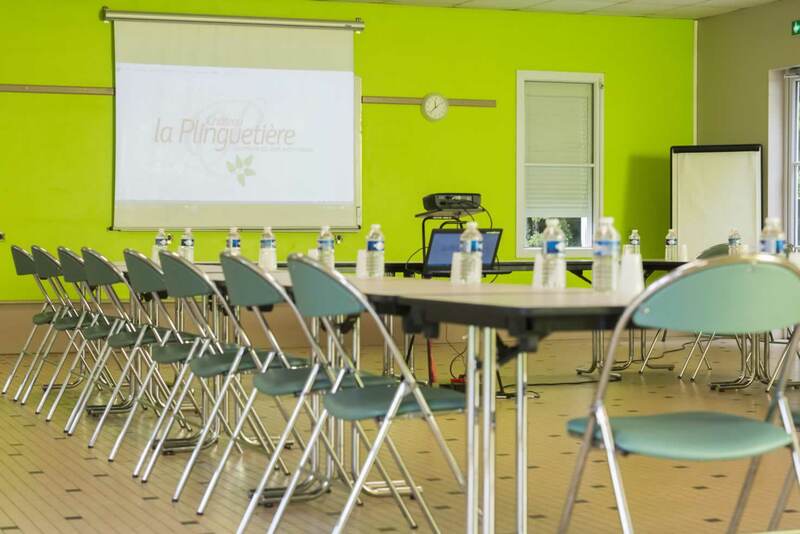 Château de la Plinguetière provides 10 meeting rooms with capacity from 10 to 100 people. 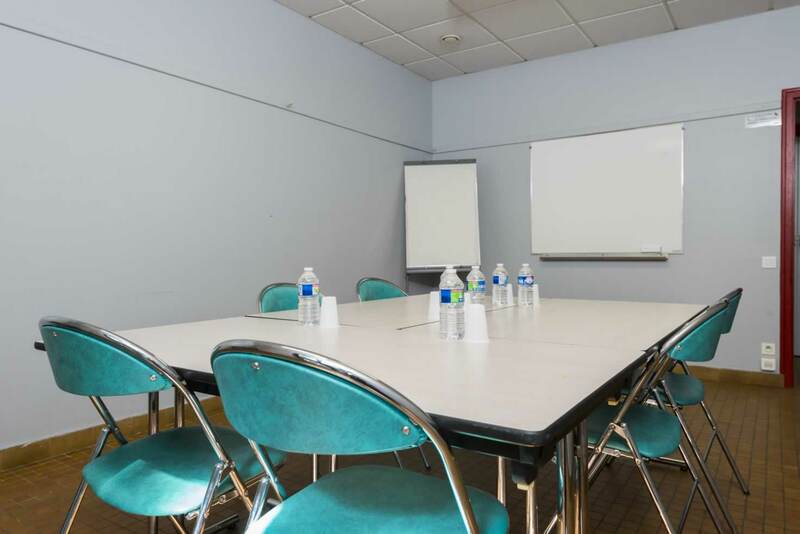 Modulable to meet your needs and fully equipped (video projector, paper board and WIF connection), our rooms are suitable for all types of meeting, training or business seminar. 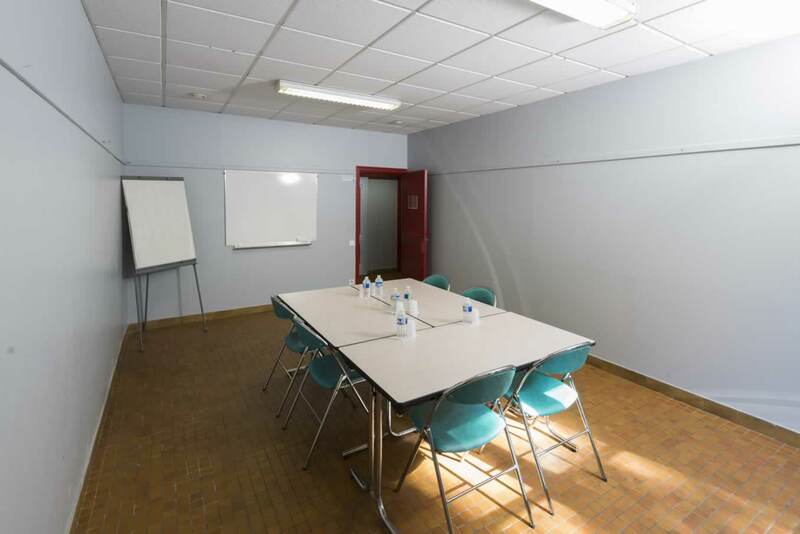 A small, intimate 20m² room, salle des Rainettes can host up to 15 people. 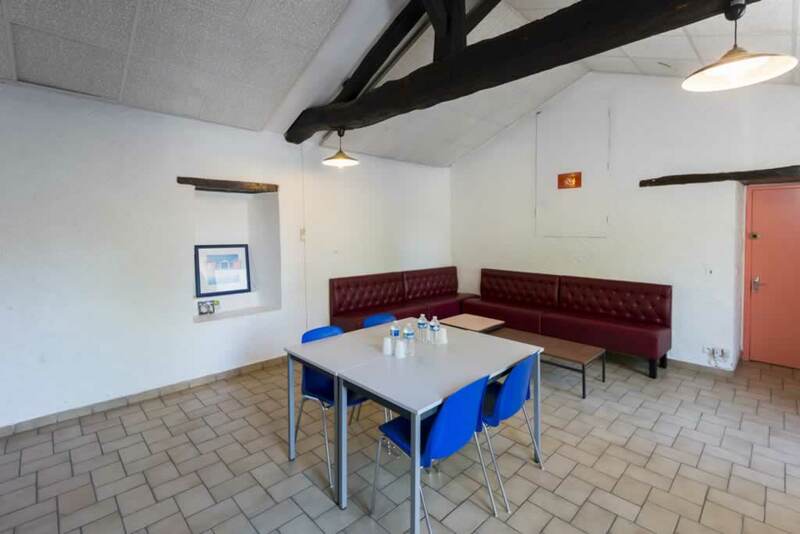 A small, cosy room of 22 m², salle des Colverts is an ideal complement to the large rooms in Bâtiment bleu for breaks and relaxation. 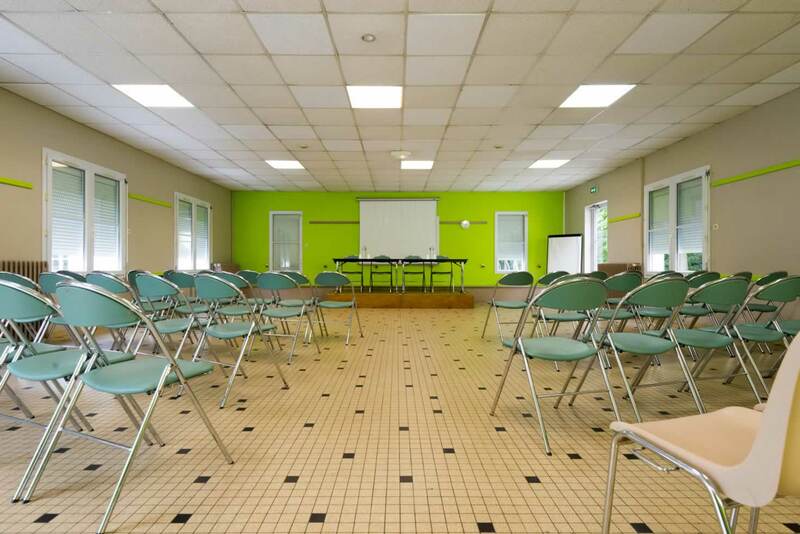 Flooded with light, Salle du Lac is the largest room we offer. 120 m², this room is perfect for conferences, seminars and meetings of up to 100 people. 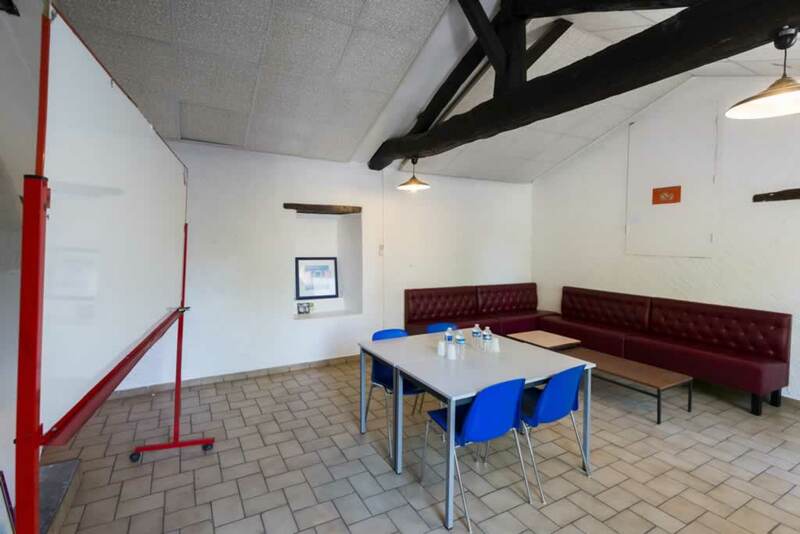 A professional kitchen (fridge, oven, workbench, dishwasher) is available. 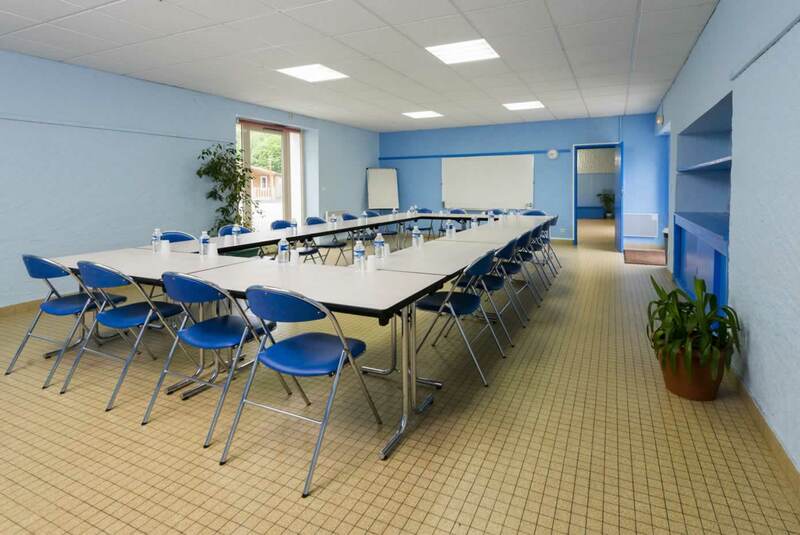 This large room also has audio equipment. 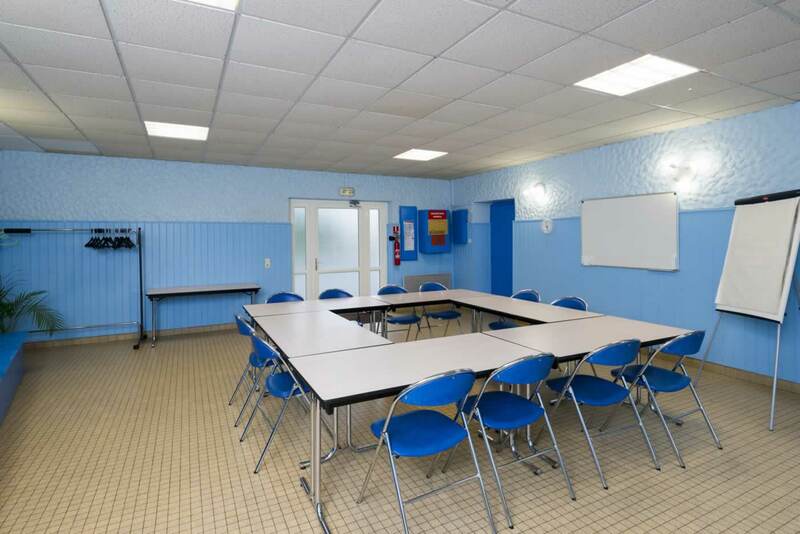 Descriptif : Paper board, video projector, overhead projector, tables and chairs, audio, podium, WIFI, coat rack, fully equipped kitchen, WIFI. 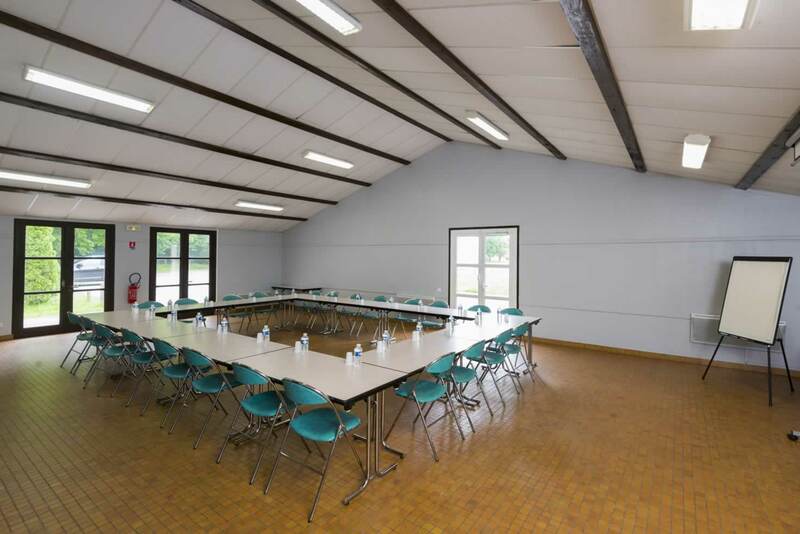 Salle des Nénuphars, of 92 m², is notable for its high ceilings. 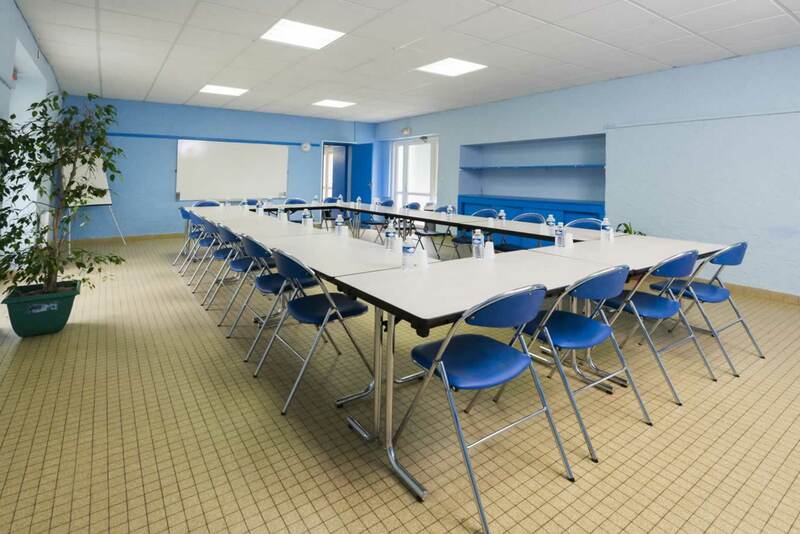 Well-lit and warm, it’s perfect for group meetings, training sessions and seminars of up to 50 people. 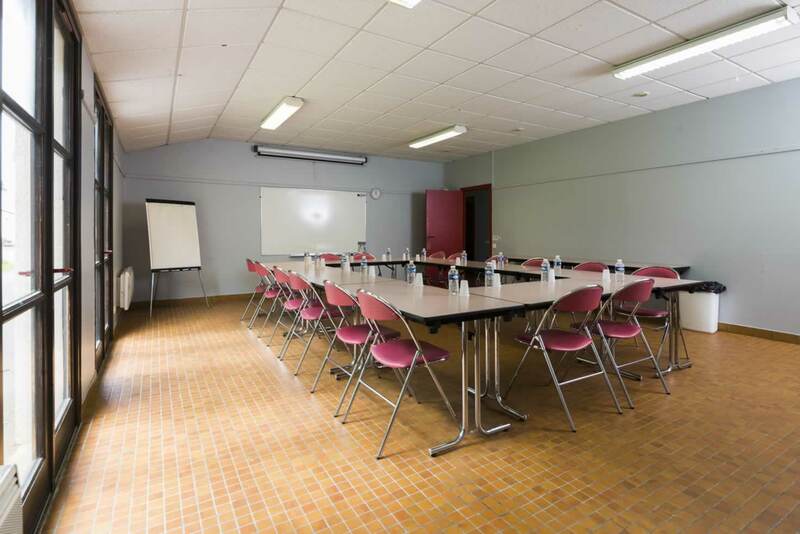 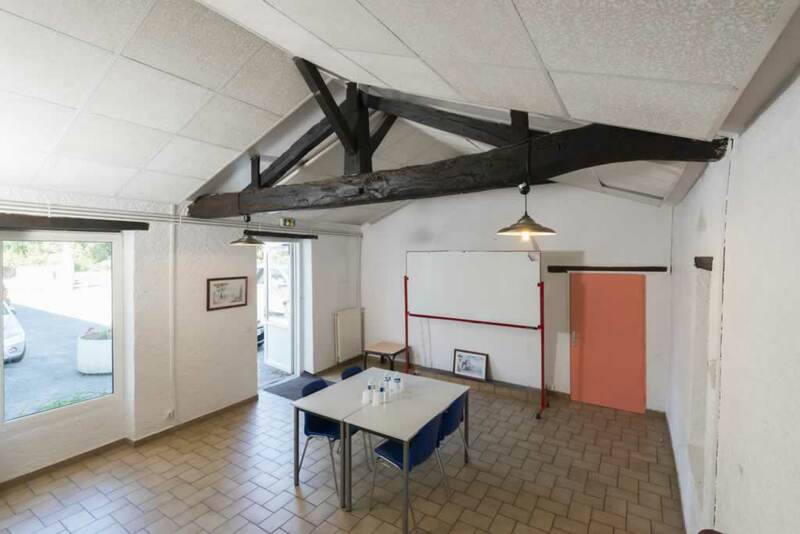 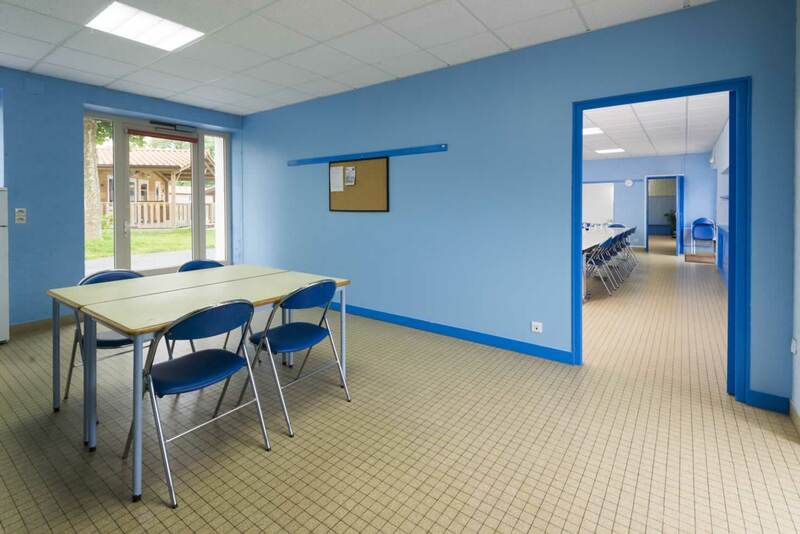 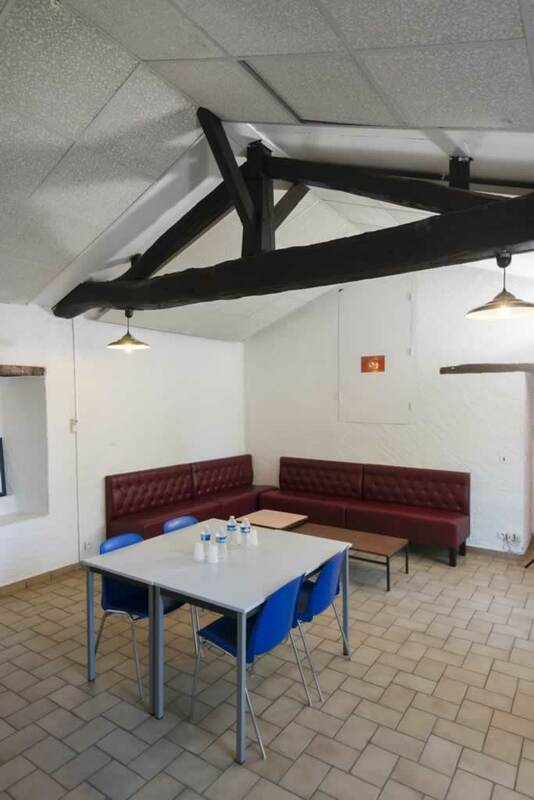 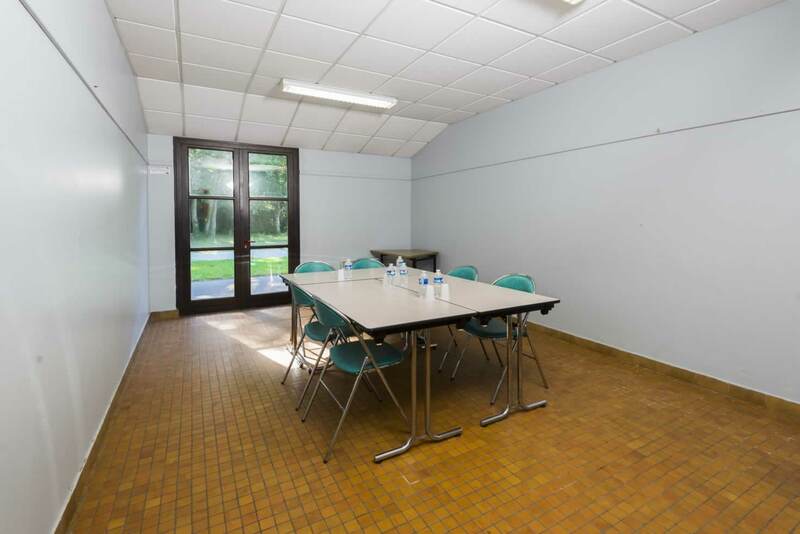 A small 22m² room, salle des Ajoncs can host up to 15 people. 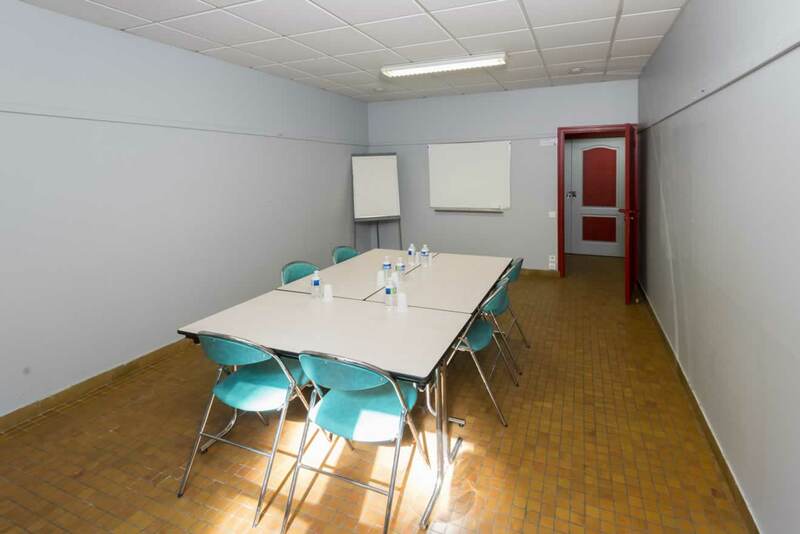 It's the perfect supplement to the large salle des Nénuphars or for select committee meetings. 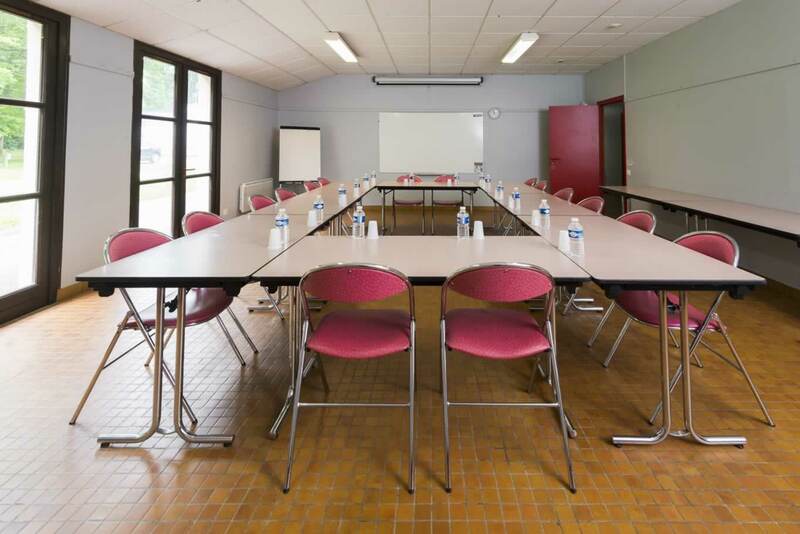 Well-lit and convivial, salle des Roseaux (45 m²) is suited for meetings of groups of up to 20. 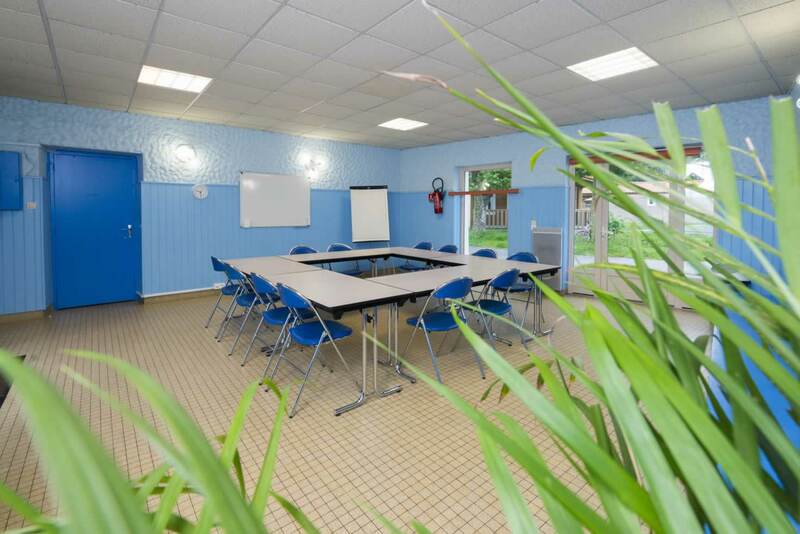 Salle des Iris (22 m²) is perfect for breaks and relaxation, supplementing the large Nénuphars room, or for intimate meetings. 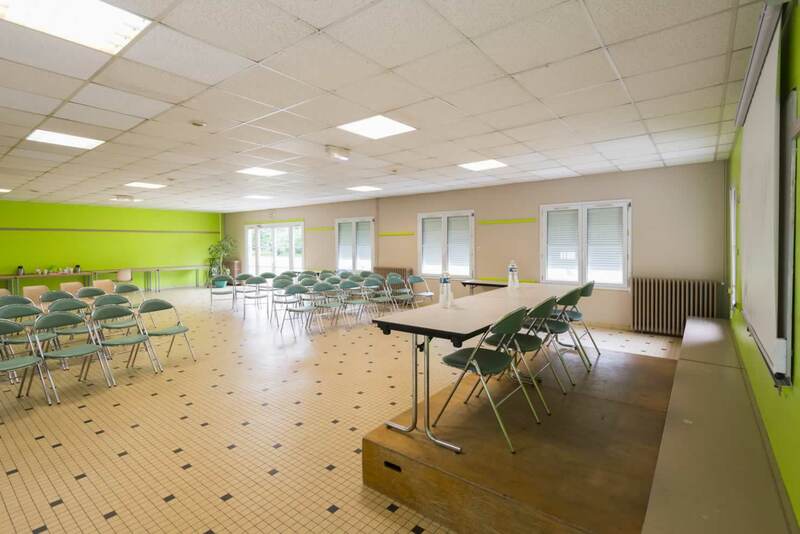 Salle des Martins Pêcheurs (35 m²) has a maximum capacity of 15 people. 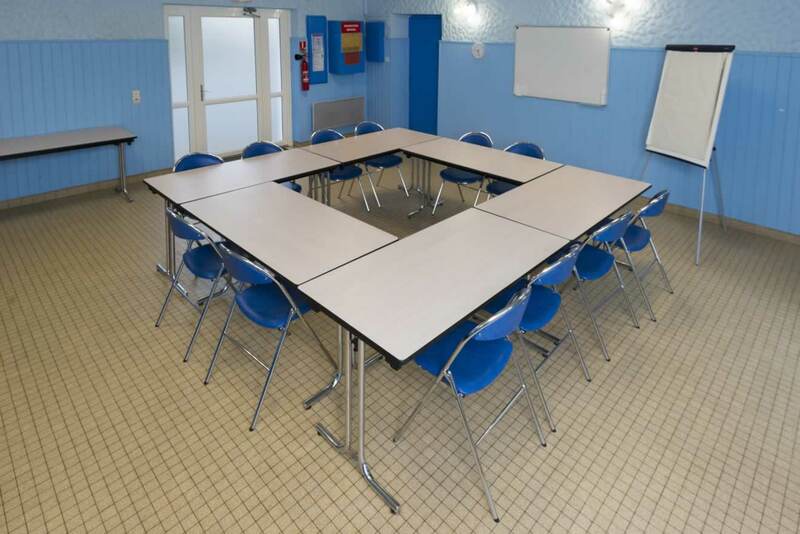 It is perfect for group working meetings. 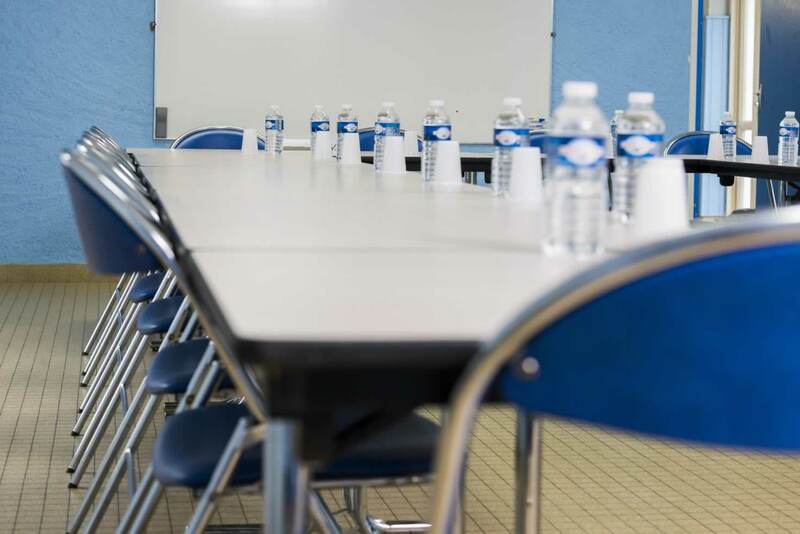 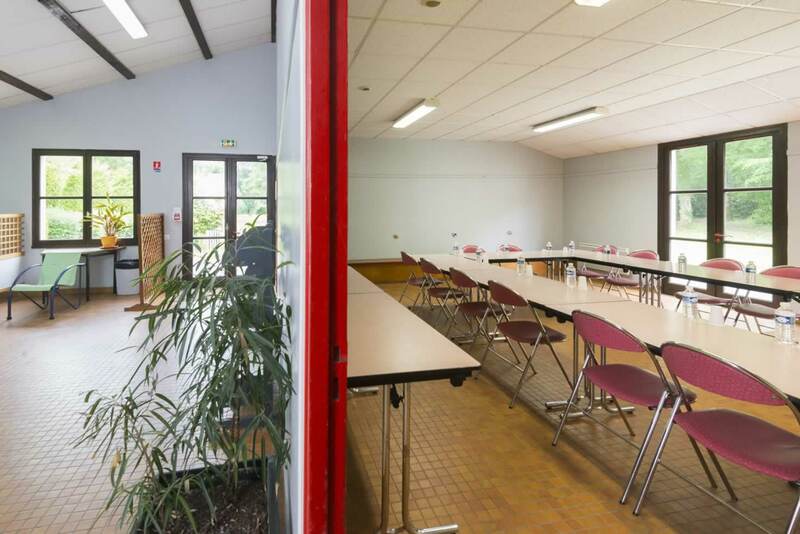 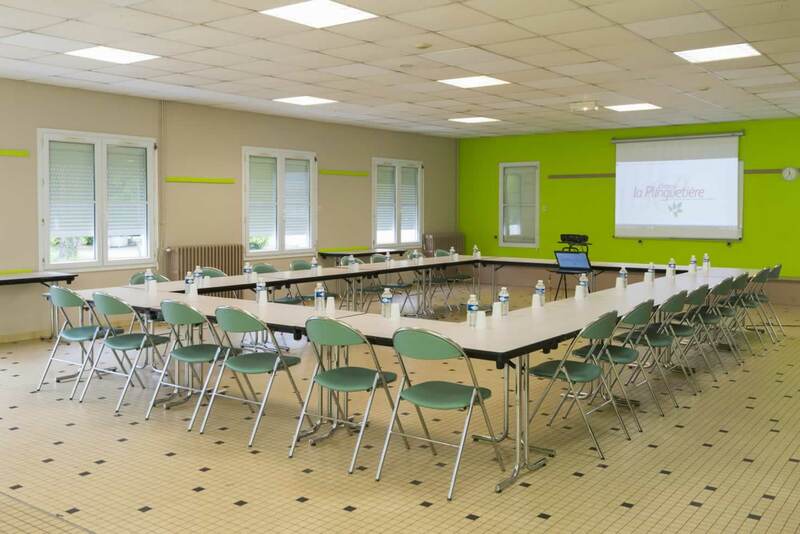 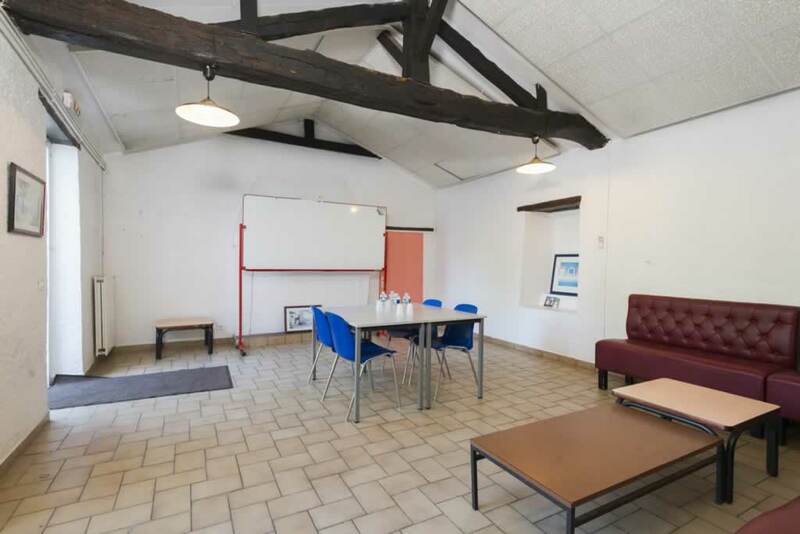 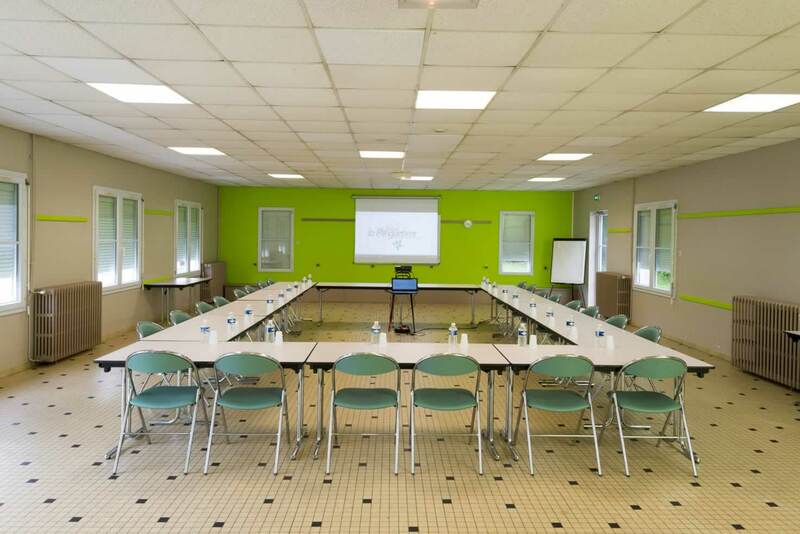 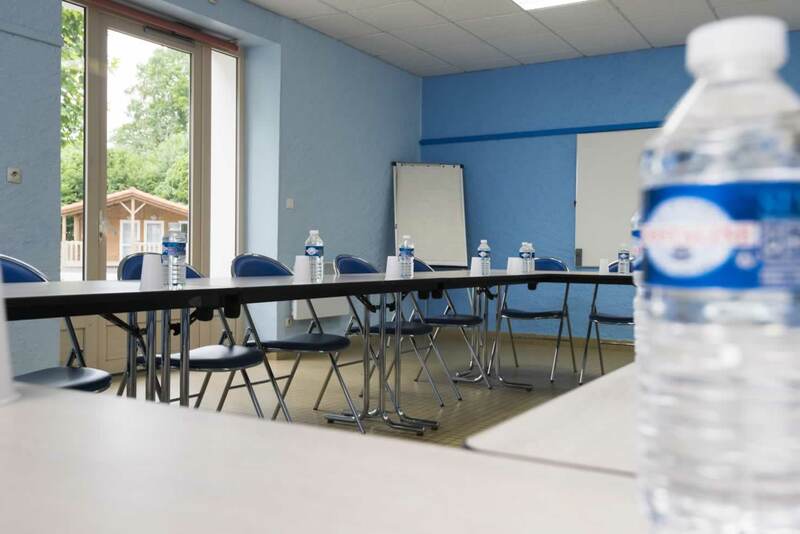 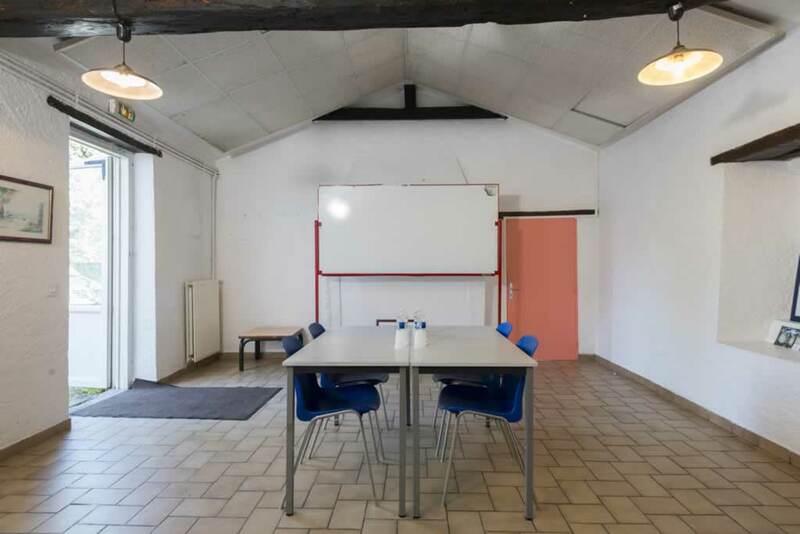 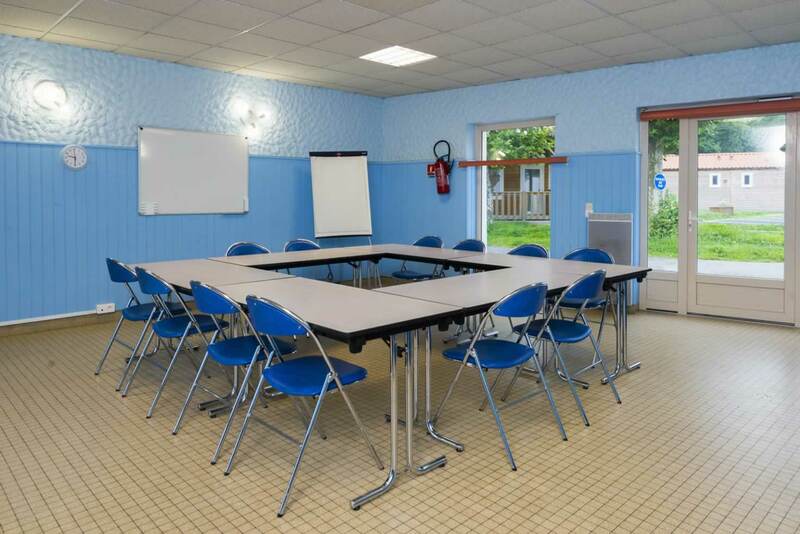 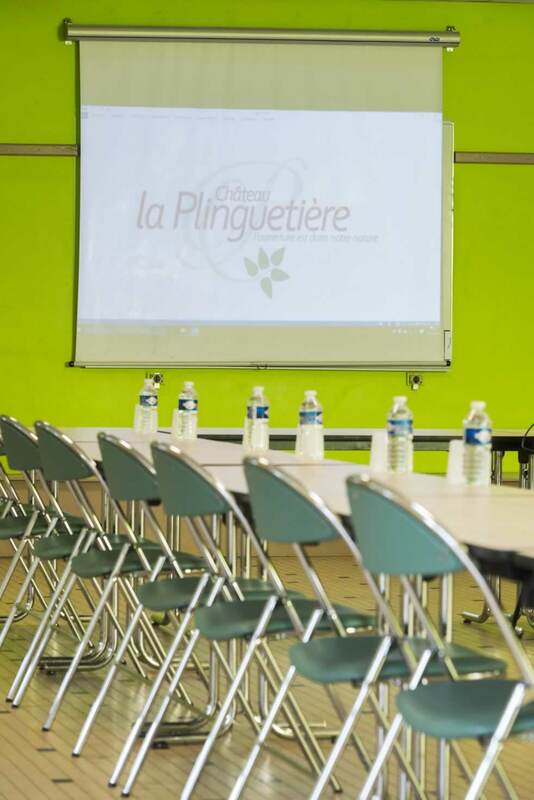 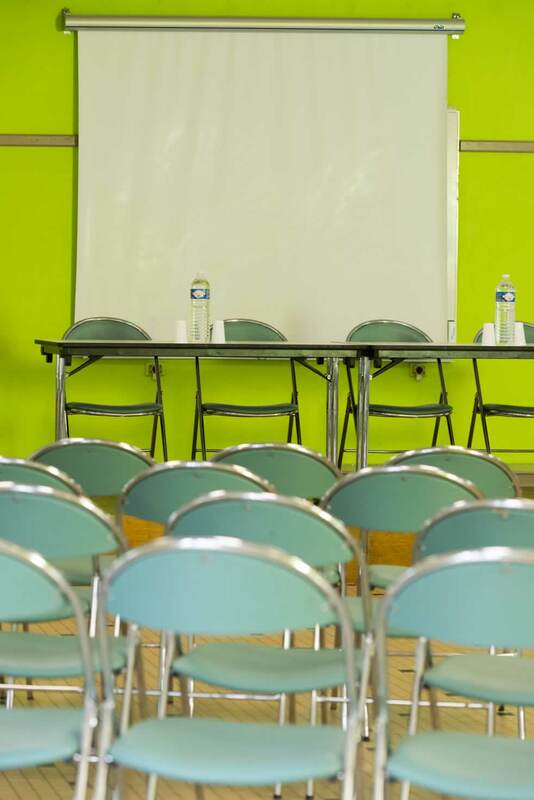 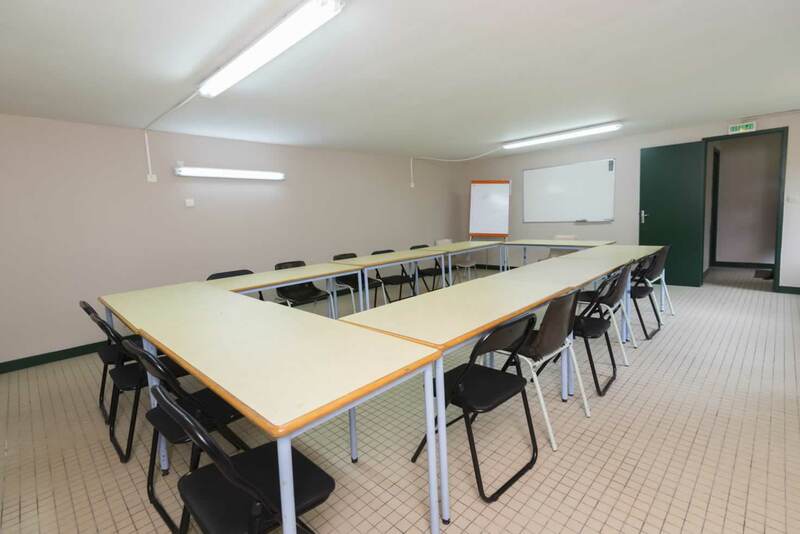 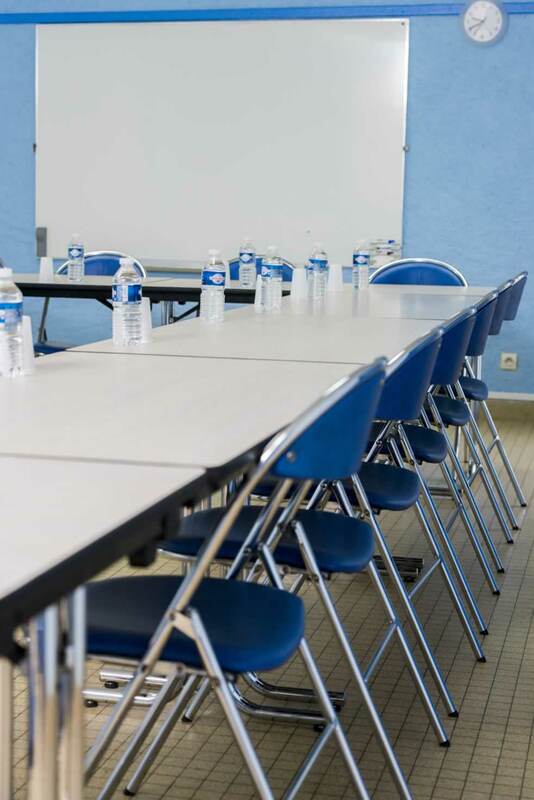 Well-lit and peaceful, salle des Cygnes (55 m²) is ideal for seminars, training sessions and meetings of up to 25 people. 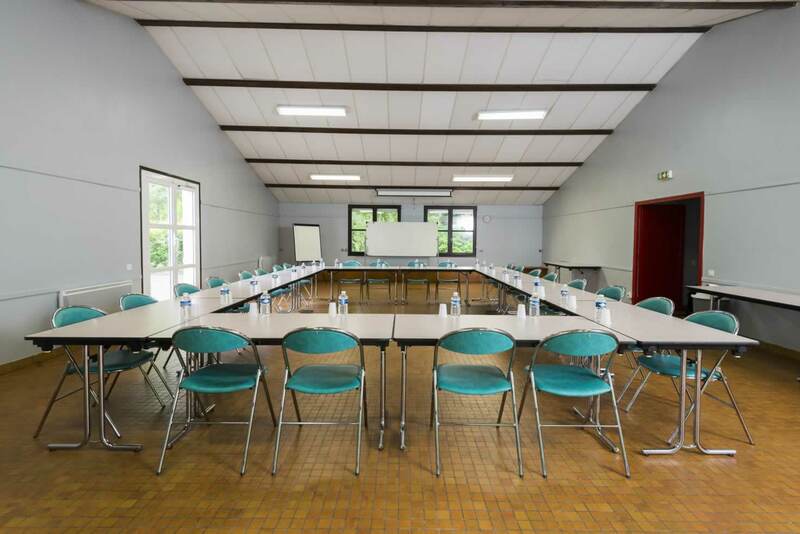 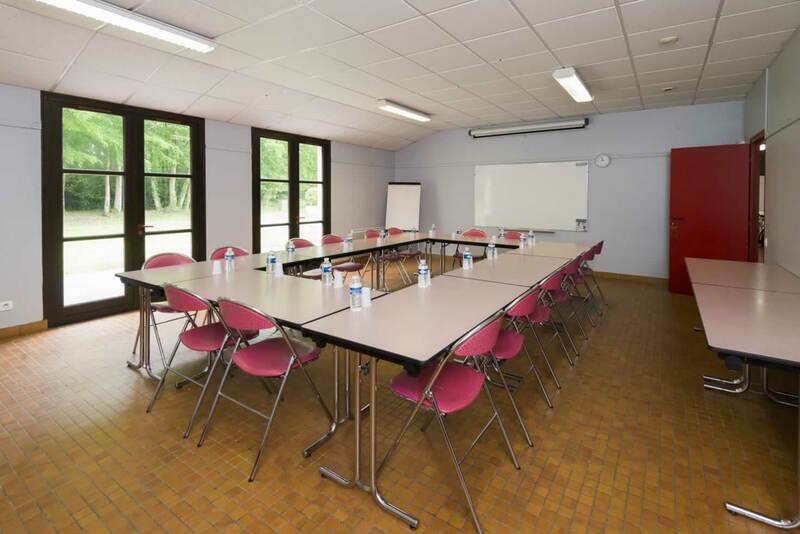 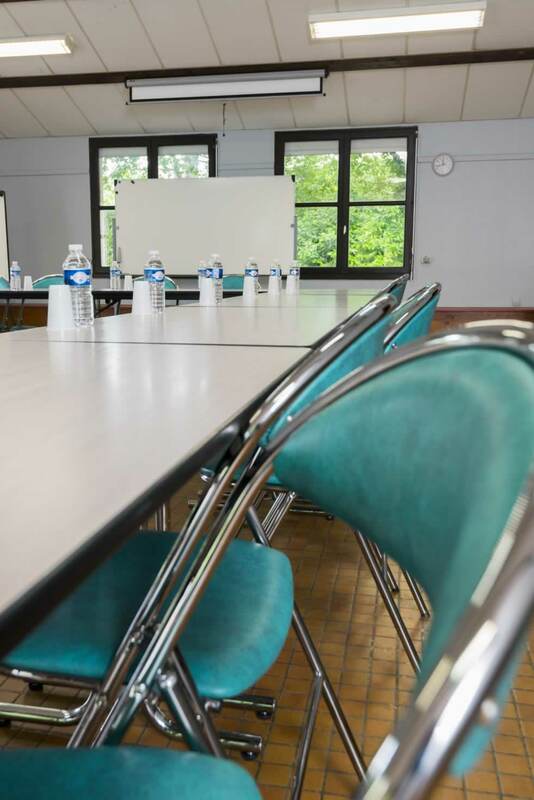 Ideal for discussions in select committees, salle des Aigrettes (20 m²) can host up to 12 people.